The 20-level apartment tower at 63 Kishorn Road, is the first part of a two-stage project, the first approved under the 2015 Canning Bridge Structure Plan designed to encourage well-designed density in the precinct. Architect MJA Studio’s Jimmy Thompson said a second tower, with 104 apartments and a commercial tenancy, would create a “butterfly wing” footprint. 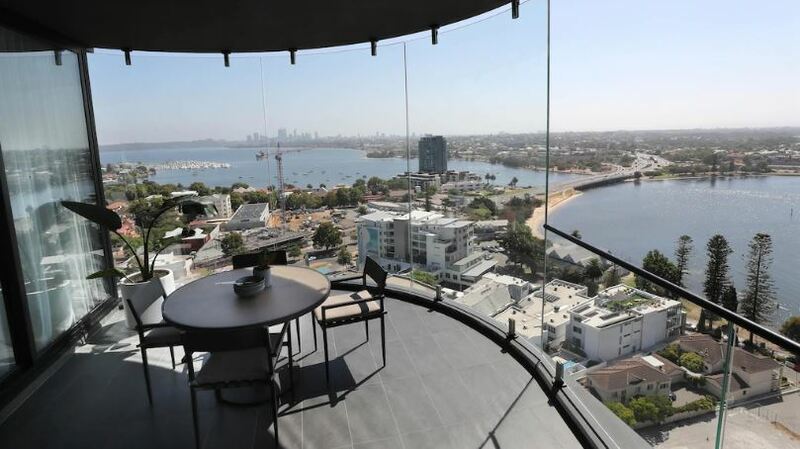 North-facing residents in tower one, who will maintain 270-degree views of the river and the city, will be able to keep tabs on the construction of Finbar’s Sabina tower a short distance away at 908 Canning Highway. Stirling Capital managing director Luke Reinecke said Stage 2 sales will open shortly. The first tower, with 111 one, two and three-bedroom apartments, also features a residents’ deck with indoor and outdoor areas, including a heated pool, spa, sauna, gym, cinema, library, barbecues, a cocktail bar and private dining spaces. The second tower will link to the first and add a children’s nature playground and games room. Mr Reinecke said every element of the design was intended to take advantage of the building’s orientation, minimise southern wind impact for residents and exploit natural light and river views, which are likely to remain uninterrupted to the south. Many of the balconies in the bigger apartments have eye-catching full-height curved glass, a “signature” Cirque design feature. MJA Studio’s Mr Thompson said the towers were designed to create view corridors and maximise natural light and ventilation in each apartment to minimise heating and cooling costs. The apartment has a ground floor business centre, open to all nearby local residents, to provide a meeting space and generate a sense of community. The building concierge has access to extra storage including a cool room to collect residents’ grocery deliveries. 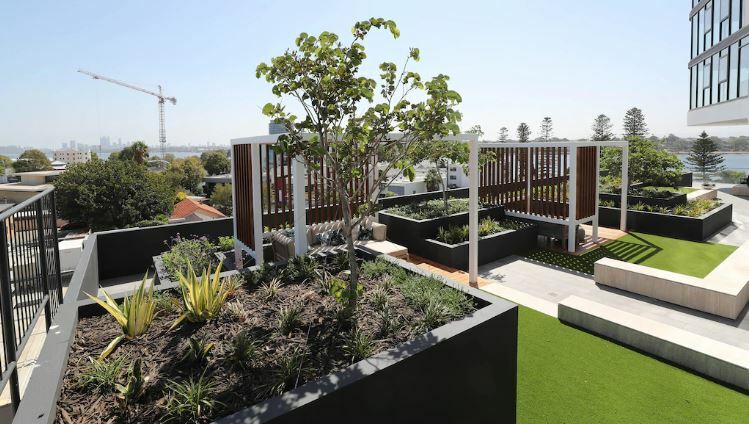 Mr Reinecke said he was proud of the building’s five-star green-star rating, which it had attained because of its solar-powered central gas hot water plant, roof-mounted solar panels and home energy and metering systems that will let residents track water and energy use and minimise bills.